For the VINCE project we visited NOKUT, the Norwegian ENIC-NARIC institution. They were the first to establish a procedure for refugees and migrants to recognized their foreign qualifications also if documents are missing or the sources are not trustworthy. People from all countries in the world can apply for recognition, no matter where they are, it could also be in their home countries. The recognition is voluntary, free of charge and basically a comparison between the foreign qualification and the Norway qualifications with a formal decision on recognition. Important to understand is the status of the foreign institution which issued the qualification, the lenght and the level of the progam. NOKUT’s decision states the lenght, number of credit and the corresponding academic degrees in Norway. The decision doesn not say that the qualifications are identical, it only mean that they are equivalent. Also it doesn’t indicate the academic content. What can you do with a decision by NOKUT? 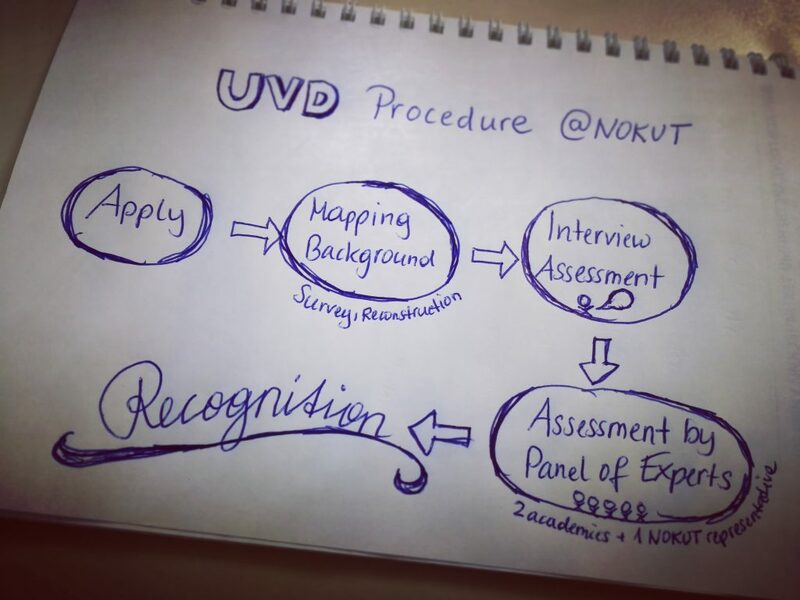 UVD Procedure at Nokut – 5 steps to take! There are 5 steps in the UVD procedure. It is interview-based and a refugee status or a permit to stay is necessary as a prerequisite. While mapping the backround they try to reconstruct the study program at the foreign institution, and as many details as possible about the degree, the courses taken, the language proficiency (fluent in English or Norwegian). During the interview, which could be via skype or face-to-face, the level of qualification based on the mapping is assessed. In the interview language skills are double checked and compared with what information was collected in the background mapping. also more detailed information about the currulum of the foreign qualification is collected and very important during the interview is to give information about the process but also a little pep-talk to foster a positive attitude towards the process. Also they tell the applicants which skills are needed at the assessment by the panel of experts. So basically 3 things are checked by NOKUT: The ID papers, the degree and the person itself. During the assessment by the panel of experts, consisting of 2 academics and 1 NOKUT representative, there are written and oral elements of the examination. The formal decision by NOKUT does not differ whether it was a UVD procedure or not – the only difference is a line on the paper stating that it was an interview-based approach. The Norwegian way of recognition has proven to be very successful, so the model was exported to other country, especially also included in creating the European Qualifications Passport for Refugees. 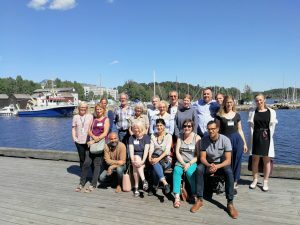 Next to exploring recognition the Norwegian Way, we also worked on the next steps within the project. I presented the developments on the VINCE platform and furthermore I also announced the VINCE workshop at Danube University, which will take place on November 22nd in Krems. Anne Kalaschek from FH Burgendland and I will host the workshop. I also talked about the social media strategy of VINCE and site statistics. It was great to meet the team again and to work together on VINCE. Next steps are to further work on the platform, including the VINCE resources portal, which will include different documents all dedicated to validation or recognition. Also, we want use testimonials and a storytelling approach to make the project and validation more understandable. 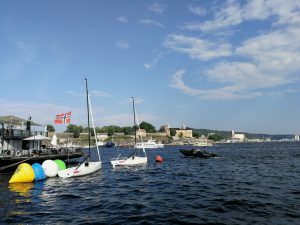 I created a short video as a look back to the meeting and to give a brief impression about Oslo! Isabell, this is a great overview of our field visit. Thank you for your work! Next story “Is Tacit Knowledge Communicable?” – Published!